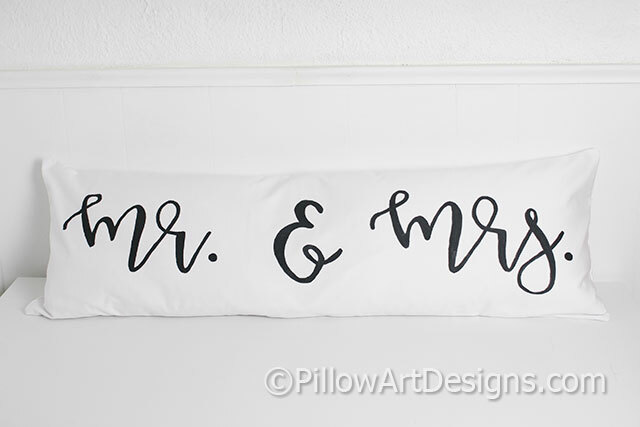 Mr & Mrs pillow cover, made to fit insert 12 X 36 inches (not included). 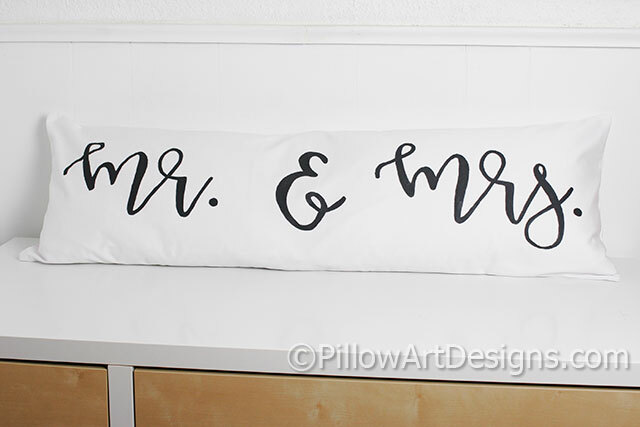 Painted in black whimsical romantic calligraphy font, non toxic fabric paint used. 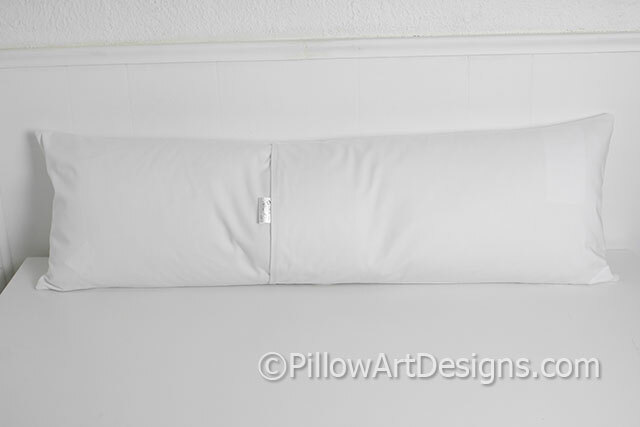 For the very best results and long life, turn inside out and hand wash in cold, lay flat to dry.